Upgrading to a larger tire on your Jeep Cherokee? 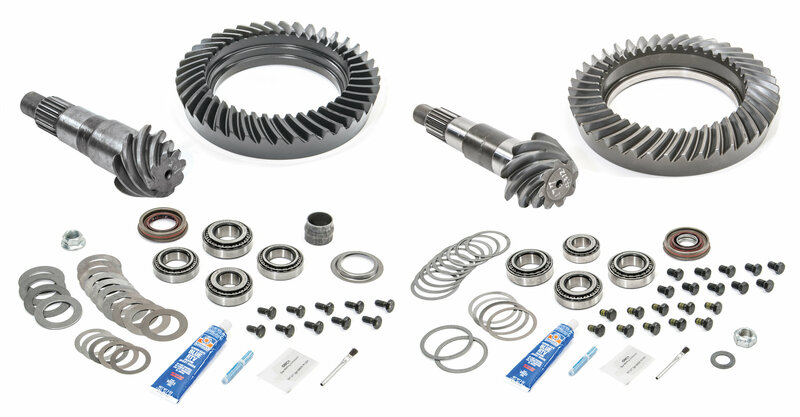 Then you will want to also upgrade your gears to a new Ring and Pinion Kit from G2 Axle & Gear. Designed for the Dana 30 high pinion front axle and Chrysler 8.25 rear axle. This kit has all parts needed for a complete installation including ring gear bolts, shims, crush sleeve or spacer, pinion seal, pinion nut, gasket or RTV, and bearings. Be sure to check that your carrier or locker is compatible with the gear ratio you has chosen. Enjoy the trails. All Inclusive Kit: These kits come complete with all the necessary mounting hardware. Giving you more time to wrench on your Jeep and less down down time from searching for parts. Built to Endure: Heat treated and forged from a 8620 Steel for strength and durability. Warranty: Standing behind their quality with a 10 Year Limited Warranty.